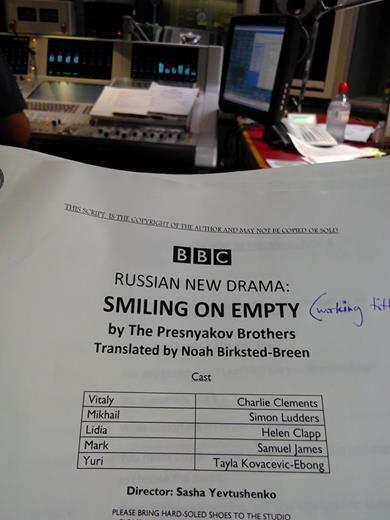 Developed and translated by Noah Birksted-Breen and Sputnik Theatre Company. Russia is rich with talented dramatists and screenwriters, with a vibrant theatre scene in Moscow and other cities. After a period of stagnation in the immediate aftermath of the Soviet Union’s collapse, where the theatrical output mainly revolved around new stagings of classics, a movement loosely called “New Drama” began and has since been making waves in Russia and abroad. 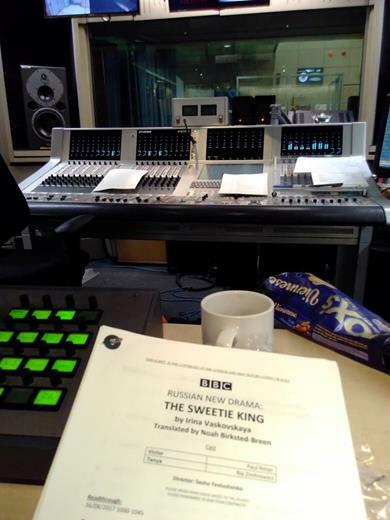 In 1998, the Playwright and Director Centre opened in Moscow and the goal at the time was to showcase the work of young, adventurous, and un-produced writers as an alternative to mainstream theatre – the equivalent of the Royal Court in 1960s London. This model took hold, and within a few years, a host of other small theatres sprang up to foster new work – most notably Teatr.doc, and Moscow’s Meyerhold Centre. In the previous decade, Moscow’s larger theatres turned a blind eye to what was happening on backrooms, small stages and community centres. In some cases, they took actively hostile stances toward it. This changed, however, and by 2010 New Drama was threatening to become a mainstream phenomenon. Now, although not every theatre stages plays associated with New Drama, most perform plays that are clearly influenced by the movement’s themes, methods and language. The first play, A Weekend in the Country, by Oleg and Vladimir Presnyakov, is a dark and violent social satire that follows a couple as they go on a weekend retreat to the Russian countryside. However, any preconceptions of rest and recuperation are turned on their head, in a anarchic, pitch black comedy that reflects the authors’ vision of materialism and spiritual depravity in today’s society. 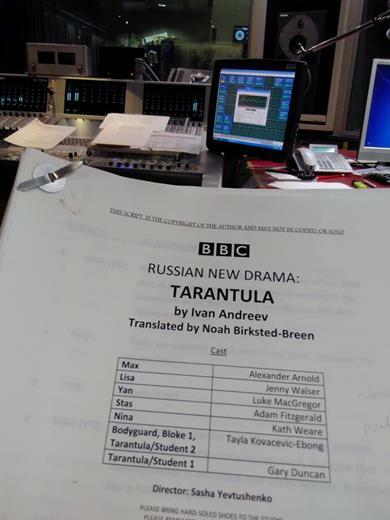 The second play, Tarantula, by Ivan Andreev, is set in an elite Moscow school in the late 1990s. For many Russians, this traumatic and violent decade, which saw the transition from communism to democracy, has left a lasting legacy and defined the direction Russia has taken in the 21st century. Andreev’s allegorical play explores societal change and themes of conformity, democracy and false idols, in a story that centres around the arrival of a mysterious new student at a school for the children of the country’s elite.